LANSING, Mich. (AP) — Michigan’s Republican-led Senate passed bills Wednesday that would substantially scale back citizen-initiated minimum wage and paid sick leave laws that a business lobby criticized as too burdensome, setting up expected lawsuits if GOP Gov. Rick Snyder signs them into law before making way for a Democrat in January. Since the approval of the 1963 state constitution, lawmakers have adopted seven citizen initiatives but amended just one — and it was not in the same legislative session and came in response to a court ruling. Democrats and organizers of the ballot drives said making the changes this year, before Democratic Gov.-elect Gretchen Whitmer takes office, would be illegal. “Gutting the One Fair Wage proposal after it was adopted is blatantly unconstitutional and will likely will lead to costly, time-consuming court challenges,” said Pete Vargas, campaign manager for the minimum wage ballot drive. The minimum wage is scheduled to rise to $10 in 2019, $10.65 in 2020, $11.35 in 2021 and $12 in 2022, with yearly inflationary adjustments afterward. Under the legislation, the wage would increase to $9.48 in 2019 and by 23 cents annually until it hits $12 in 2030 — later if the unemployment rate is 8.5 percent or higher. Business groups applauded the Senate’s moves, saying Michigan would be an outlier in the Midwest and its economic competitiveness would be jeopardized without the revisions. 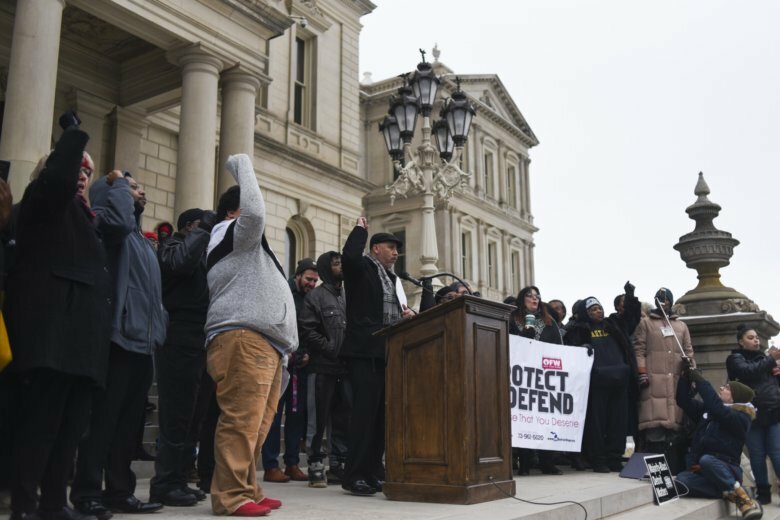 Charlie Owens, state director for the National Federation of Independent Business, estimated that Michigan’s “sloppily worded” current law would cost employers three times more than those in California, which also has sick time requirements. “The idea that for the sake of political gamesmanship, for the sake of getting what we want, for the sake of undoing the will of the people and ignoring their voice, that we are going to sit in this building and undo 50 years of precedence, take away the democratic rights that were guaranteed in the Michigan Constitution and pretend like we are the all-powerful and not the people is unacceptable,” he said. “If the bills are sent to his desk, he will review them to determine the potential benefits or negative impacts and then make a decision on whether to sign them,” said spokesman Ari Adler.